This is a unfinished solid walnut hardwood handle/tote and the front knob that is designed to fit vintage Stanley Bailey type planes No. 4-1/2, 5, 6, 7, 8, and some others as well. Each is in very good condition with no damage or cracks, formed and all needed holes drilled to use as is, or finish yourself. 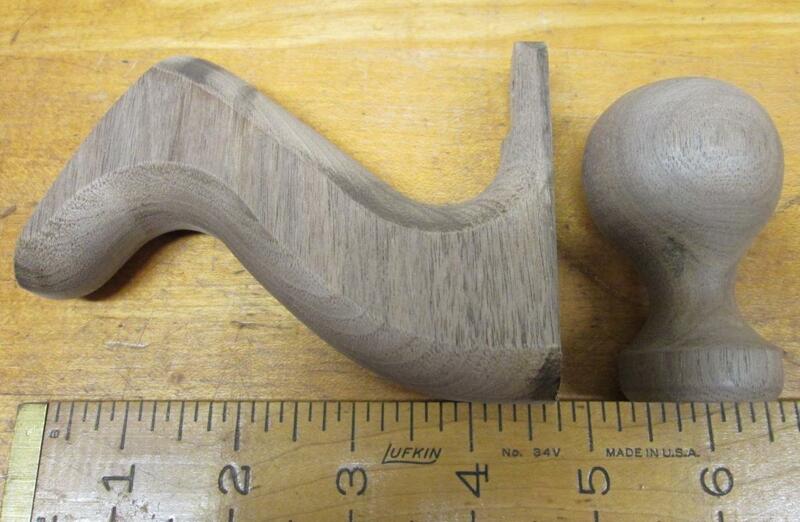 Although this type of handle and knob is a copy or duplicated shape and made to fit any of the Stanley number planes listed above during the period in the 1940's, this handle and knob will fit the same type planes dating back to 1907, although the older planes originally had Rosewood handles, where this one is black walnut. Although walnut is not the original type wood used on Stanley planes it is similar appearance to the vintage rosewood when stained and finished. This handle is 99." thick x 4.6" high x 3.37" long at the base. The knob is 2.5" long x 1.7" diameter at the widest point. This handle is about the same thickness as original as they were .96" thick on average. Price is per one tote/handle and knob. As you can see in the pictures clearance holes and counter bore are in each handle, ready to bolt onto your plane using the original hardware/screws. If you intend to apply a stain or varnish type finish, some finish sanding we be required. The rounded areas of the handle will sanded, in the normal sanding process if you wish to varnish or otherwise apply a finish, or use the handle as is. The pictures reflects one of 12 handles made from the same material (same board), so the grain pattern on each is similar, but not exactly the same. It takes me about 15 minutes per handle to sand the handles I have for sale that are finish. If you would rather have a finished tote, you can purchase one or more at this website, but in a separate offering that you can find by using this website s internal search feature. 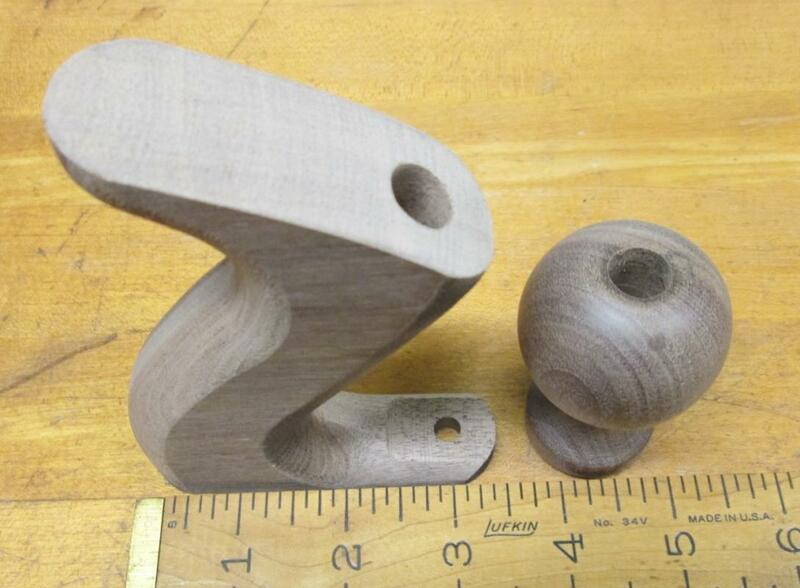 We also have handles made of cherry and walnut with matching knobs if you need them. We also have plane knobs, and other types of handles for planes and antique hand drills. Items Similar To "Stanley Plane Handle & Knob No. 5, 6, 7, 8 Walnut Replacement"